Explore the Benchijigua Ravine in the island of La Gomera. The Benchijigua Ravine is located in the Benchijigua Natural Reserve in the municipality of San Sebastián de La Gomera on the island of La Gomera. 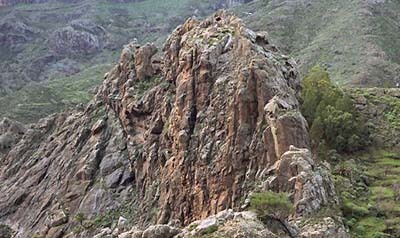 The Santiago Ravine, or Benchijigua Ravine is the most important in the island of La Gomera. This ravine has a head that clearly stands out from every other on this island. Also, it has an awesome canyon, very deep and narrow that forms a drain canal where it widens up again.